It's about stocks, again. 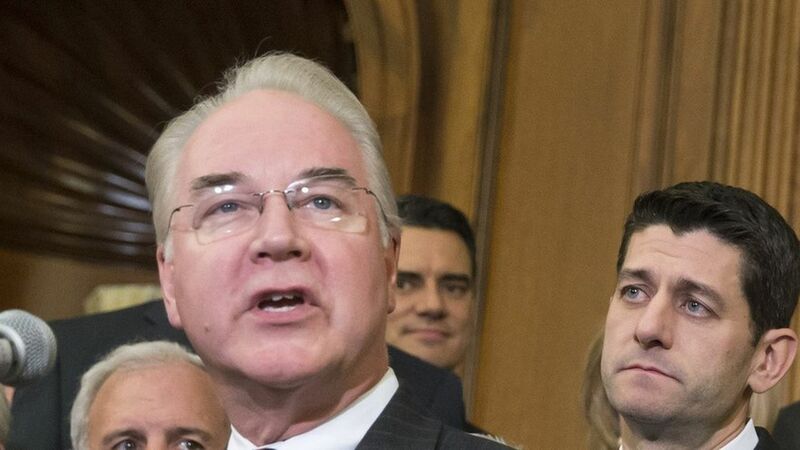 CNN notices the Georgia Republican, who is Trump's nominee to lead HHS, introduced legislation delaying regulation on a company in which he'd recently purchased stock. The transition team says there's no scandal — the purchase was made by a broker and Price didn't know about it until after the bill was introduced. The Centers for Medicare and Medicaid Services proposed a new way to pay for drugs under Medicare Part B last year. It was ultimately withdrawn by the administration after the election, but drew vehement industry and congressional criticism. Price, then chair of the House Budget Committee, bought stock in Zimmer Biomet shortly before introducing the delay bill. Analysts had said the Zimmer Biomet, a medical device manufacturer, would be significantly hurt by the regulation. Zimmer Biomet's political action committee then contributed to Price's re-election campaign. In a statement Monday night, the transition team said the purchase happened because Price's broker was doing a larger rebalancing of his portfolio and he didn't know about it until later. What's next: If this sounds familiar, it's because Price's stock purchases have come up repeatedly in the past couple weeks, raising ethical questions. But the real question is whether it's a big enough deal to sink his nomination. So far, the answer seems to be probably not. "It's hardly surprising he introduced a bill to overturn a badly written reg," said one Senate GOP aide. The aide also pointed out the bill had likely been drafted for awhile before it was introduced, which is standard law-writing process.